When will be Growing Up Hip Hop: Atlanta next episode air date? Is Growing Up Hip Hop: Atlanta renewed or cancelled? Where to countdown Growing Up Hip Hop: Atlanta air dates? Is Growing Up Hip Hop: Atlanta worth watching? Growing Up Hip Hop: Atlanta, premiering this spring, chronicles the perks and perils of being born into Hip Hop royalty in the city that the New York Times called "Hip Hop's center of gravity". The rich history of the Atlanta hip hop scene has fostered a unique sense of pride and closeness among the artists that resembles a family. But like any family, Atlanta's next generation of hip hop stars do not always get along. Growing up together in the shadow of their legendary parents has established tight bonds and bitter rivalries, as everybody fights for their chance to push their way into the spotlight. Passion and anger ignite in Jamaica; a rivalry brews when Deb cuts Jhonni loose and makes Masika an offer she can't refuse; Bow and Kiyomi's breakup becomes too much to bear; Bow reaches his boiling point; Lil Mama makes her move on a mystery man. 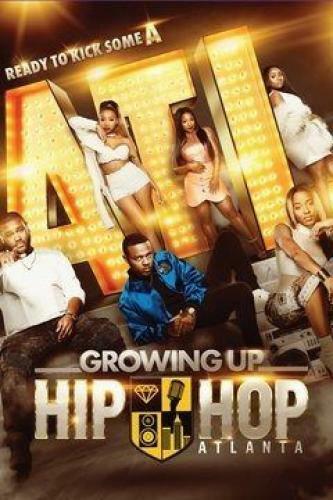 Growing Up Hip Hop: Atlanta next episode air date provides TVMaze for you. EpisoDate.com is your TV show guide to Countdown Growing Up Hip Hop: Atlanta Episode Air Dates and to stay in touch with Growing Up Hip Hop: Atlanta next episode Air Date and your others favorite TV Shows. Add the shows you like to a "Watchlist" and let the site take it from there.